Scott Freiman* is a composer, a musician, and a software entrepreneur. Mr. Freiman is the CEO of Qwire†, which creates collaborative cloud-based software that addresses significant problems with music licensing and royalty payments for film and television. Scott is the creator of Deconstructing The Beatles, a series of multimedia presentations about the composition and production techniques of the Fab Four. Mr. Freiman has presented his lectures to sold out audiences throughout North America at theaters, museums and corporations, such as Pixar, Google, and Facebook. Scott has also lectured at colleges and universities and has taught a 13-part course at Yale University entitled The Beatles in The Studio. 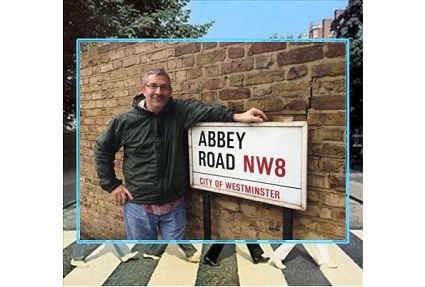 Scott Freiman is featured in seven Deconstructing the Beatles films currently showing in theatres and available on DVD and streaming. They include films on the Birth of the Beatles, the 1963 Beatles, Rubber Soul, Revolver, Sgt. Pepper’s Lonely Hearts Club Band, Magical Mystery Tour, and the White Album. Two new films deconstructing Abbey Road will be released in 2019!